Have you noticed this version of the Traveler Dress in the Lisette Flickr group? 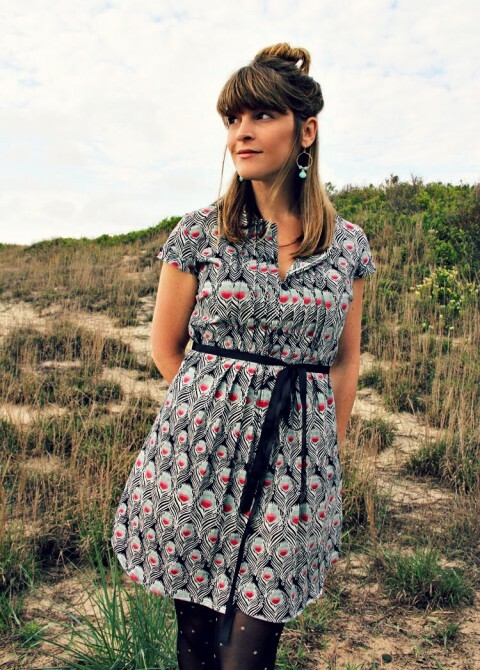 Jess of The Sewing Rabbit customized the pattern to create this adorable dress using Liberty of London tana lawn that her husband bought for her. It’s wonderful, isn’t it? You can read more about how she changed the pattern on her blog. Beautiful work, Jess! that is pretty! I’m feeling a need for just such a dress. I just made “view A” in Liberty and it turned out beautifully! Thanks for a wonderful pattern. I wore my dress to work today–so great to wear something homemade that looks neat and tailored!